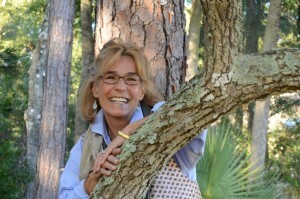 Pattie Welek Hall is the author of a children’s book, Believe, translated into Spanish, Creer. A Mother’s Dance: One Step Back, Two Steps Forward, Full Circle was named a Pulpwood Book Club Bonus Pick, a 2013 Shortlist Finalist for the Pirate’s Alley Faulkner award for “Narrative Nonfiction, ” a Finalist in the “Health: Psychology/Mental Health” category of the 2016 Best Book Awards, honorable mention for 2017 Readers Favorite Book Awards, and a 2017 Shortlist Finalist for Chanticleer Journey Book Awards for “Narrative Nonfiction.” She’s been published in International Brain Injury Association 10th World Congress scientific journal, “Brain Injury”, and Chicken Soup for the Soul: Recovering from Traumatic Brain Injuries. Welek Hall hosts an Internet talk show, Joy Radio, and is currently working on her third book (fiction). She’s the proud mother of three and lives in Charleston with her ever so frisky lab, Emme.